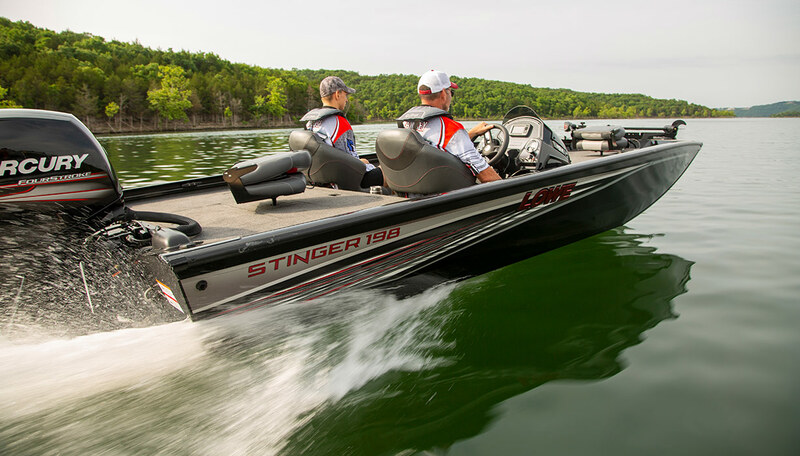 The Lowe Stinger 198 flagship received serious upgrades for 2019, and these advances add class and style to a legendary Lowe hull design that will set your fishing apart. 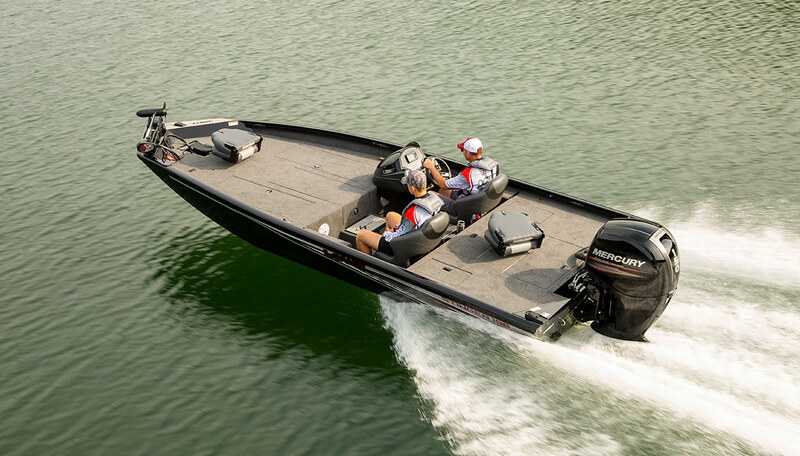 With its super-wide 94” beam and almost 83 sq. 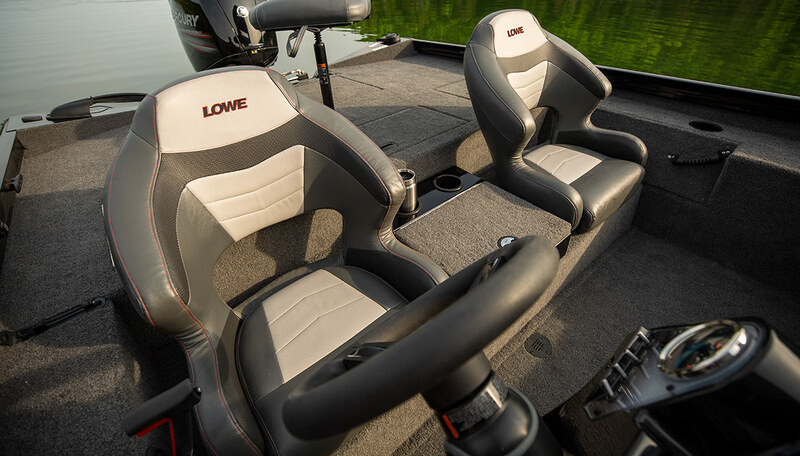 feet of fish-fighting space, you’ll dominate on the water. 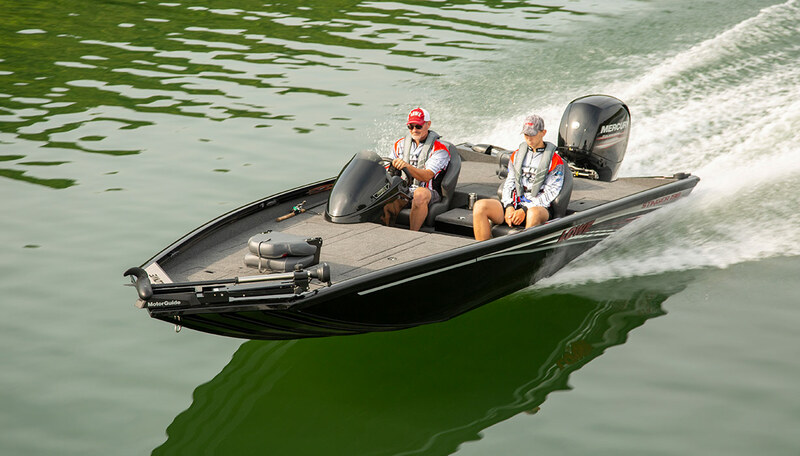 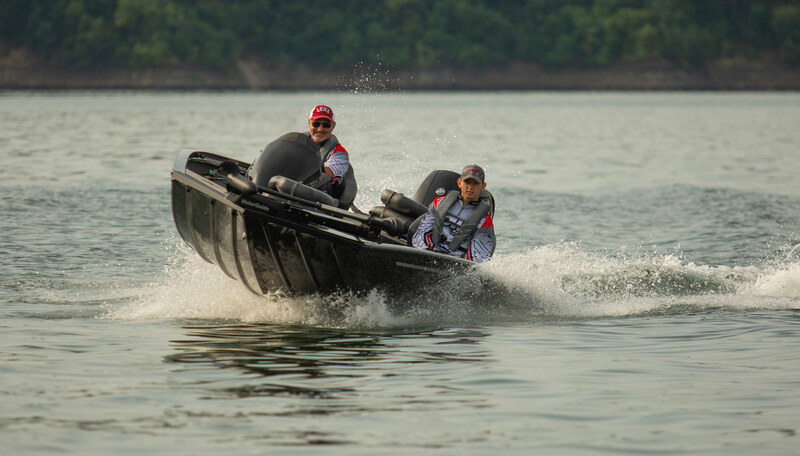 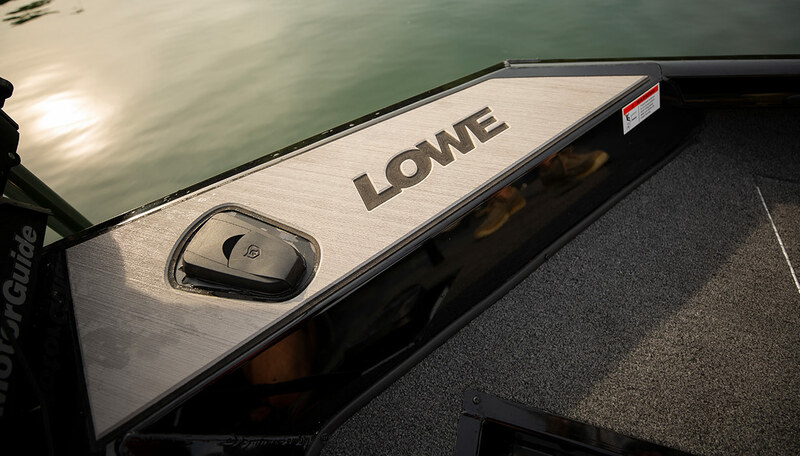 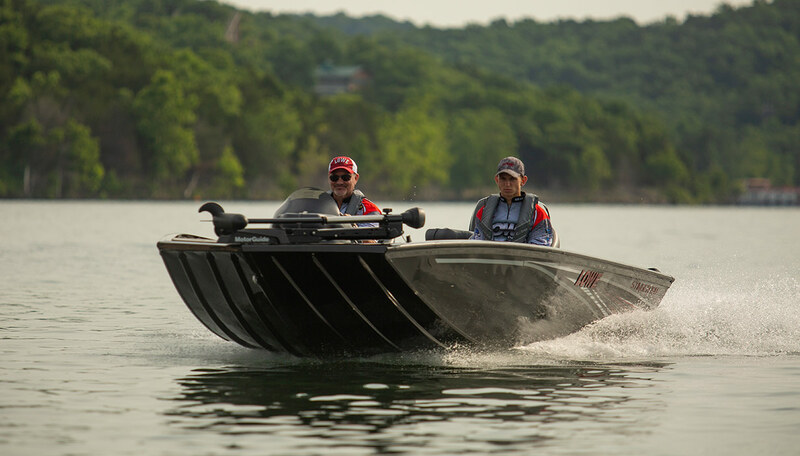 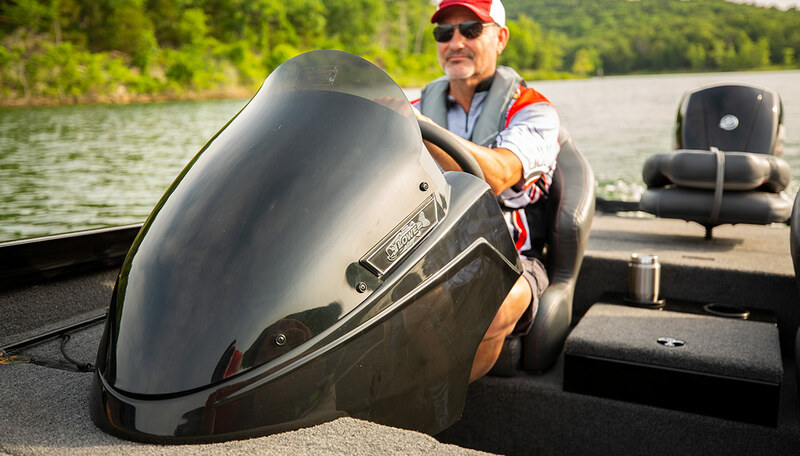 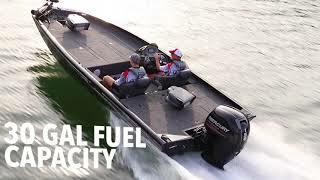 An industry-leading 150 horsepower outboard gets you on the fish fast, and a durable Lowe aluminum hull can handle higher top speeds and harder use. 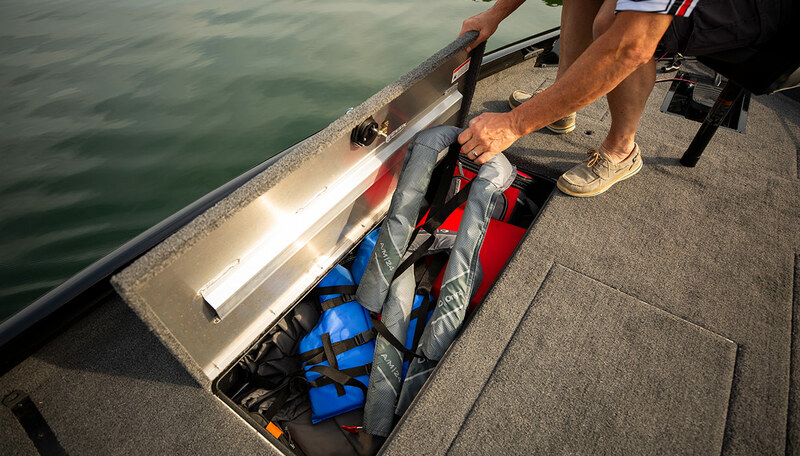 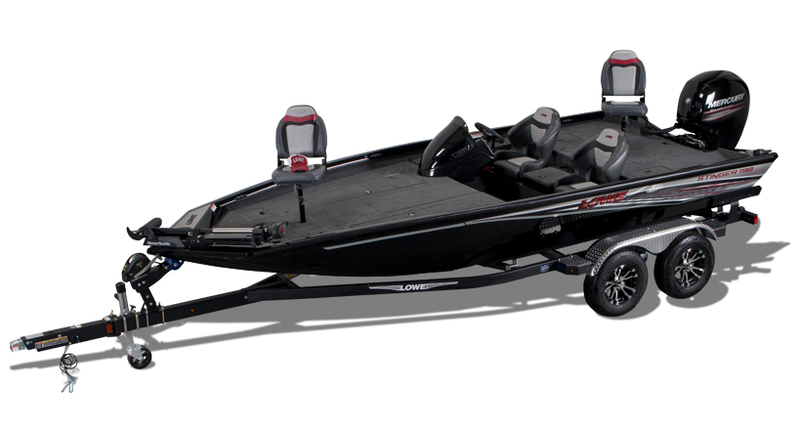 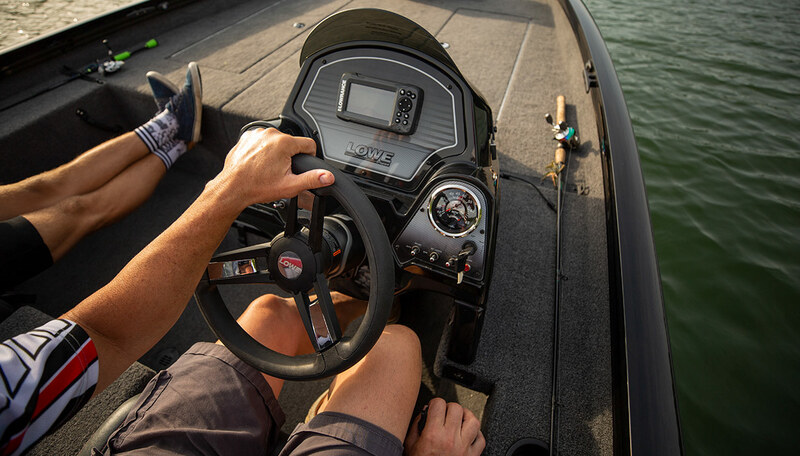 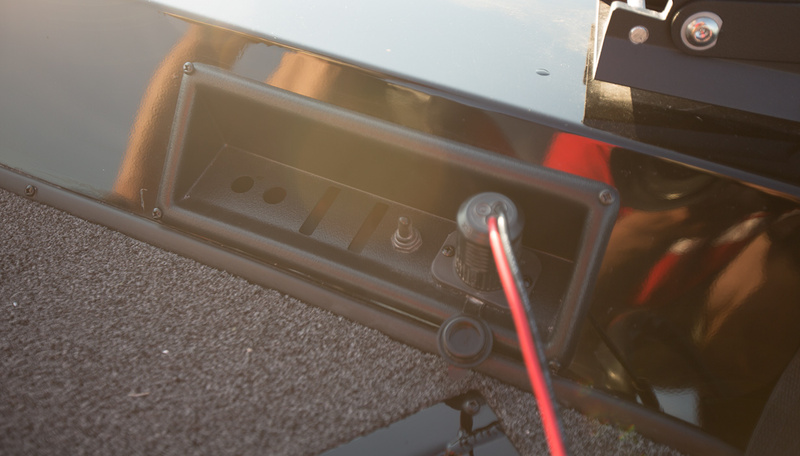 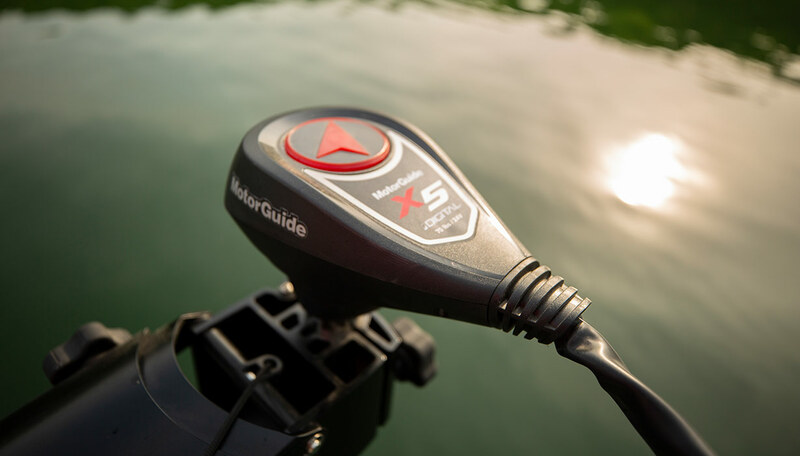 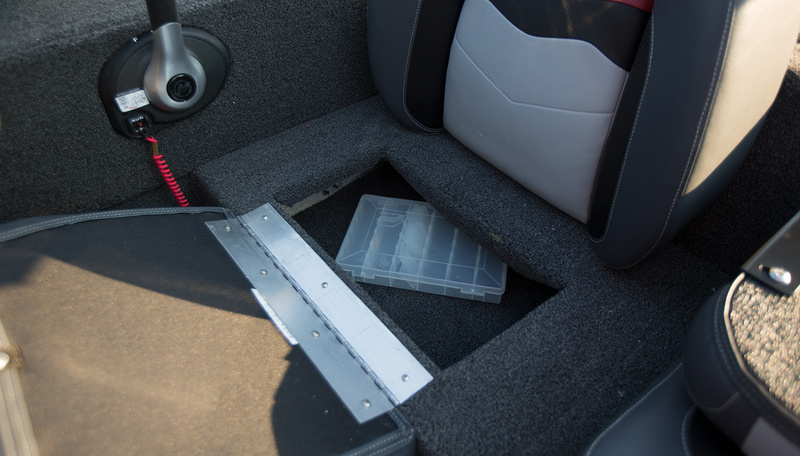 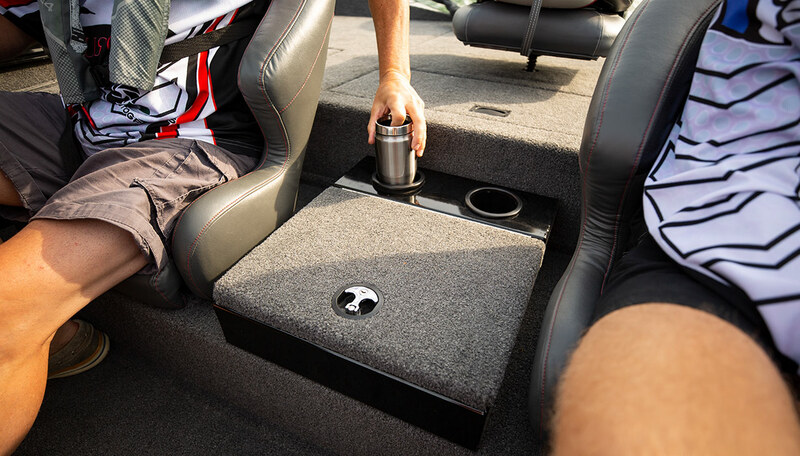 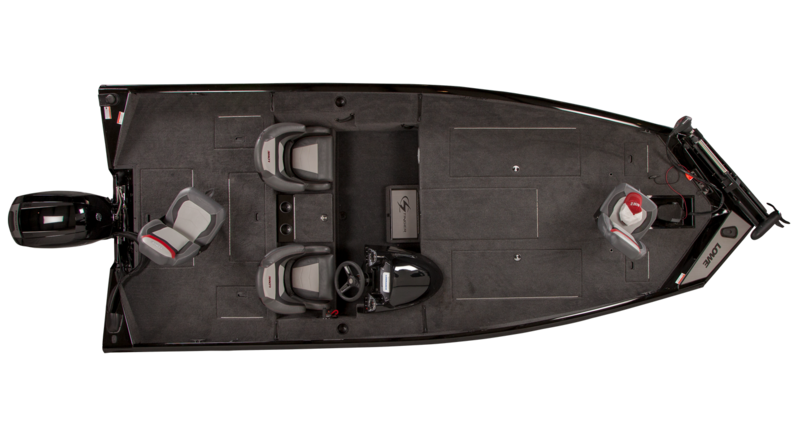 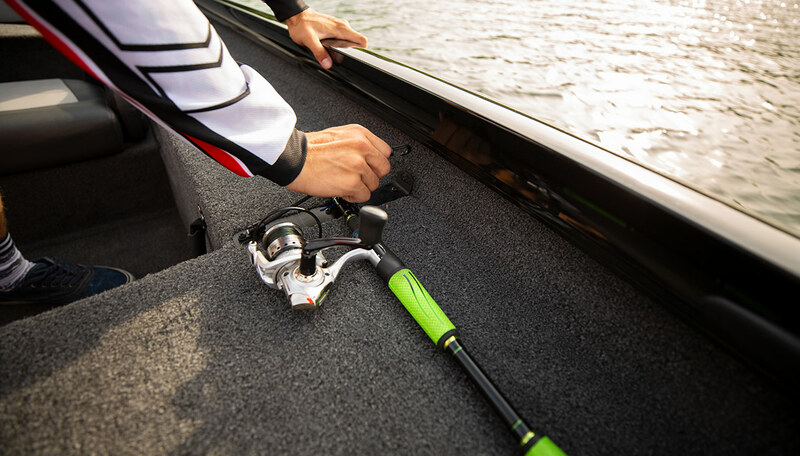 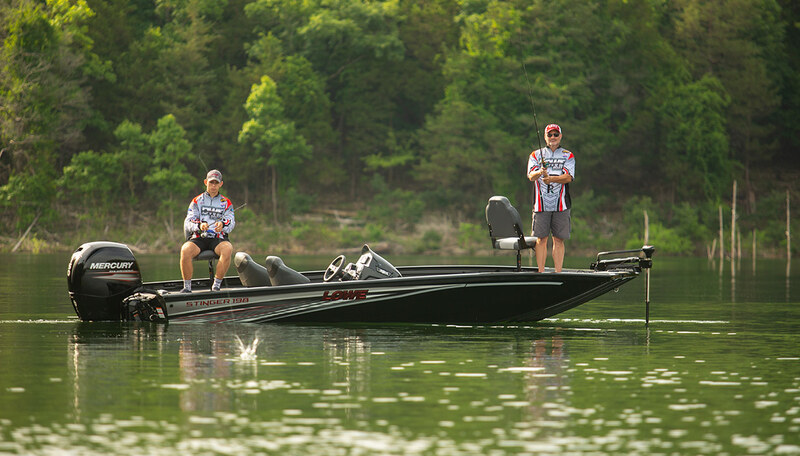 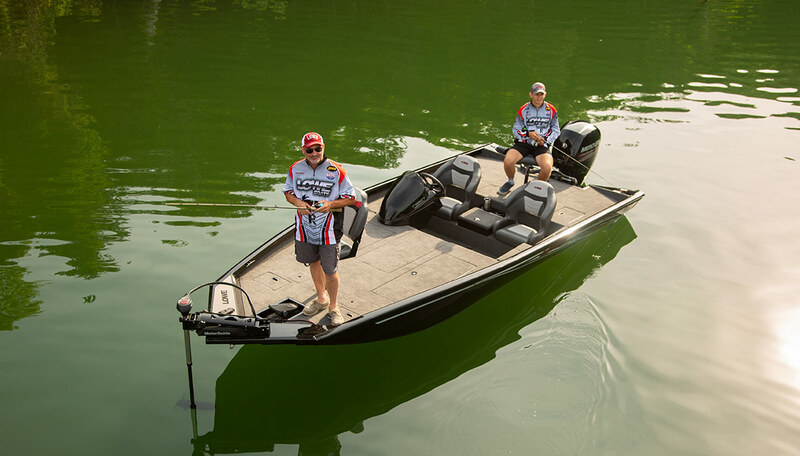 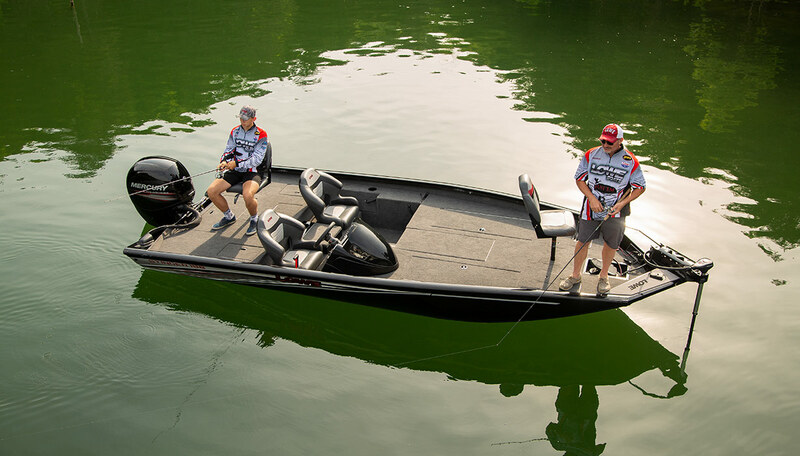 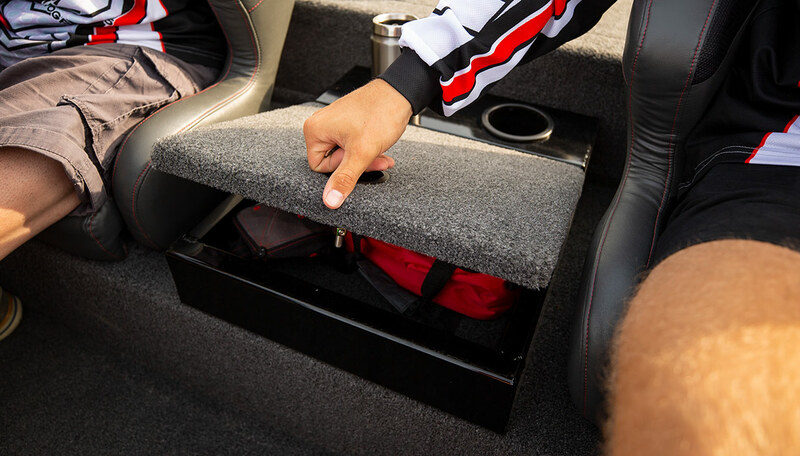 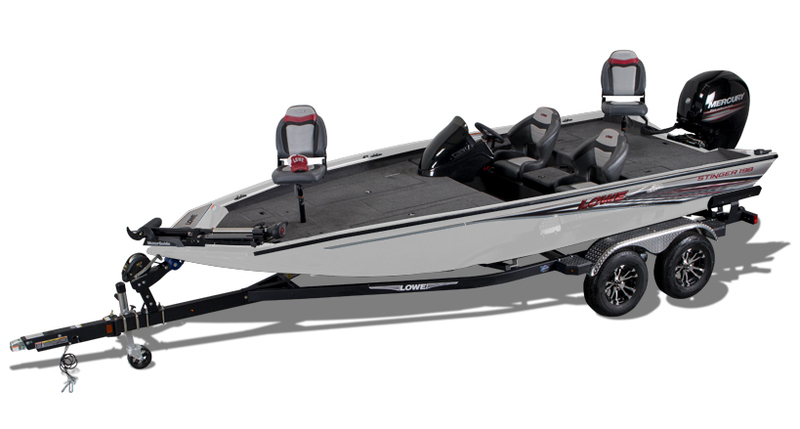 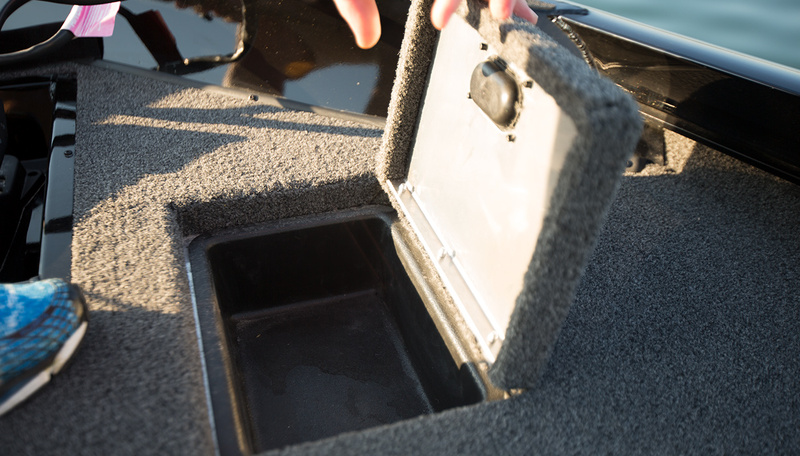 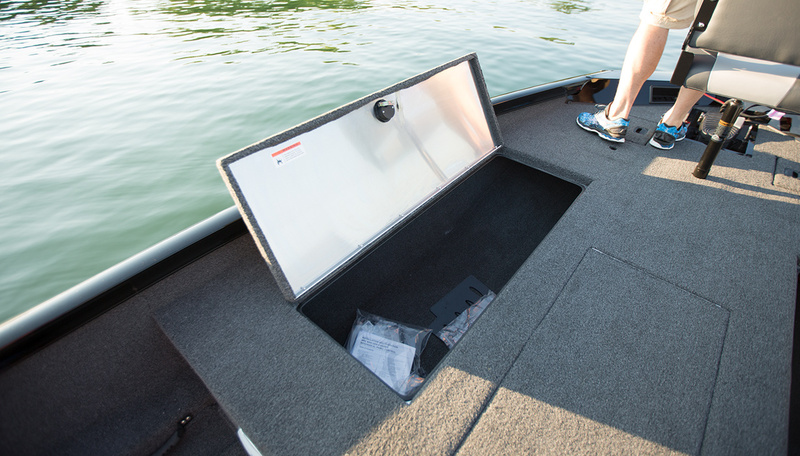 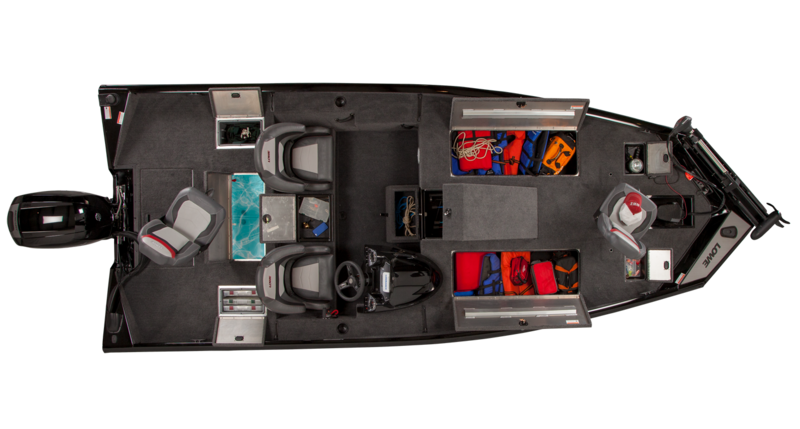 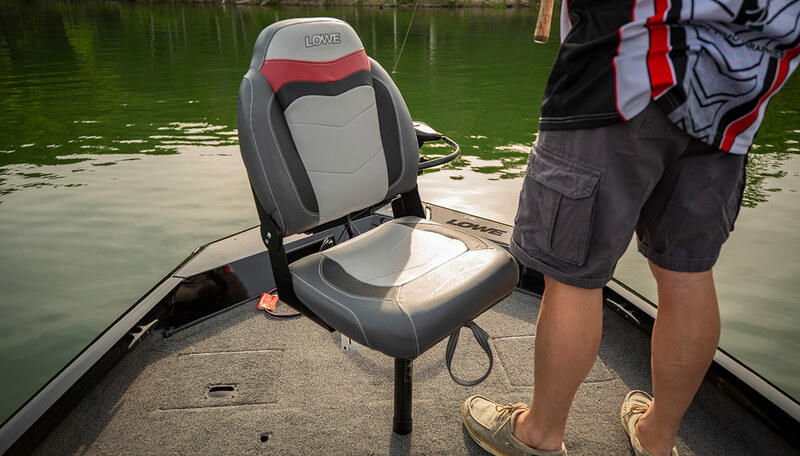 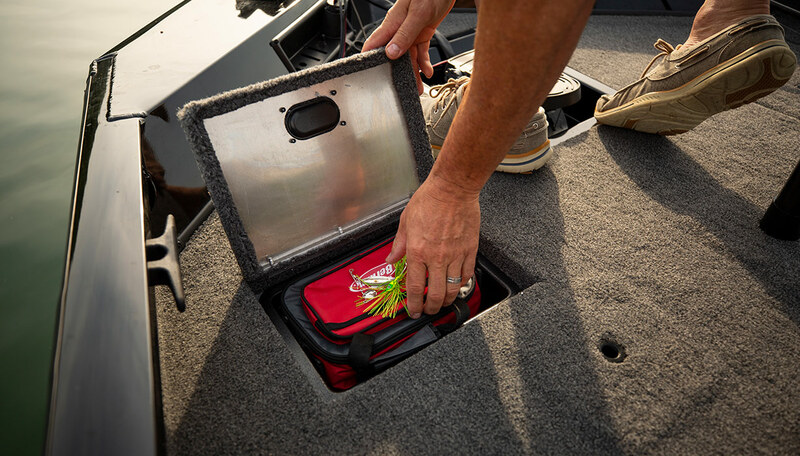 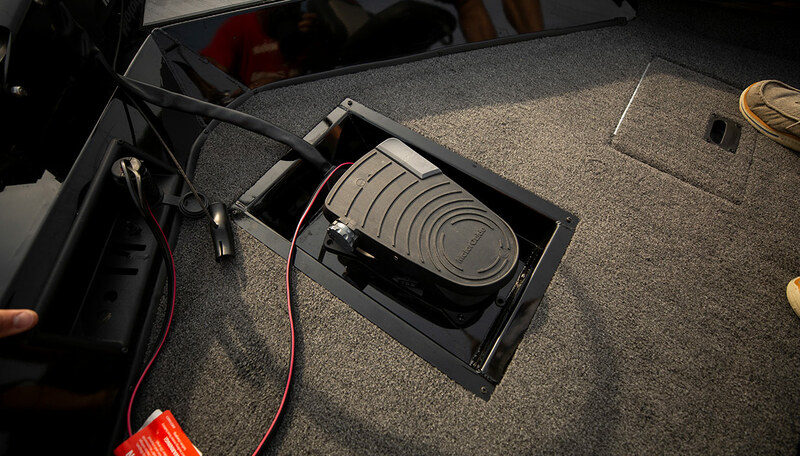 Choice fishing features including premium fold-down pedestal seats, aerated livewell, a MotorGuide X3 45FW trolling motor, a Lowrance Hook-3X fishfinder, and a locking center rod locker with 8 tubes for rods up to 8’6”. 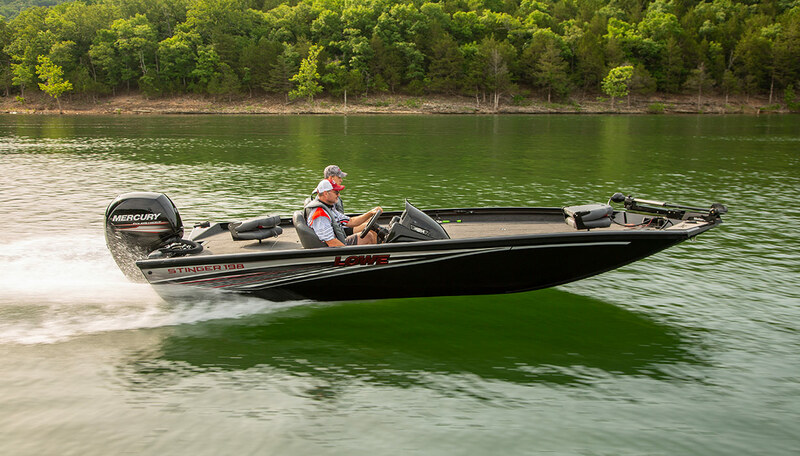 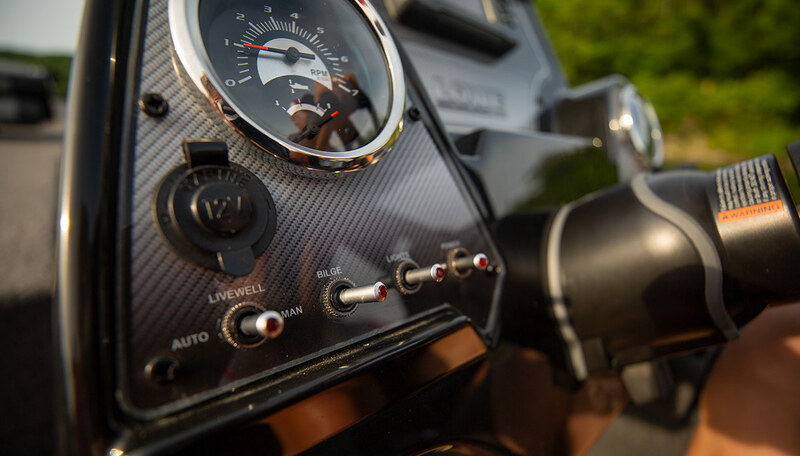 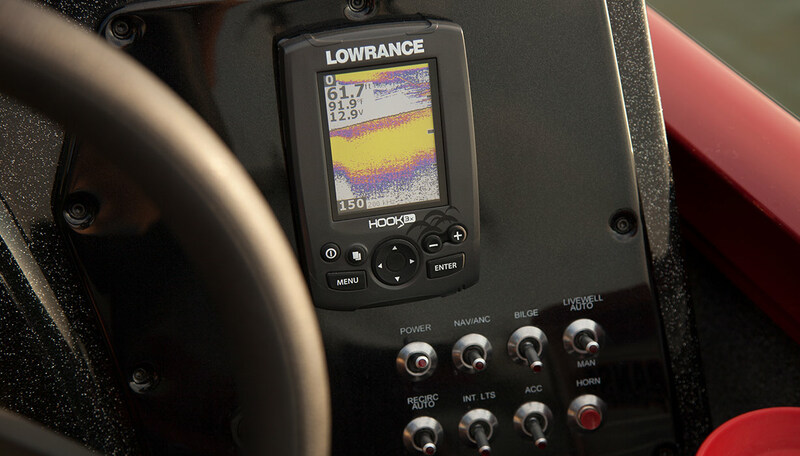 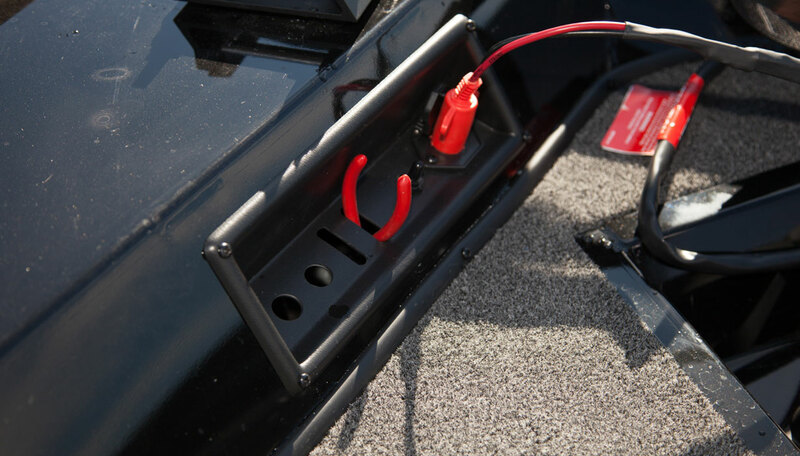 New stylish touches including red-tinted hull accents, chrome gauge bezels, and red backlit fiberglass console with metal flake add luster to your fish-fighting dominance. 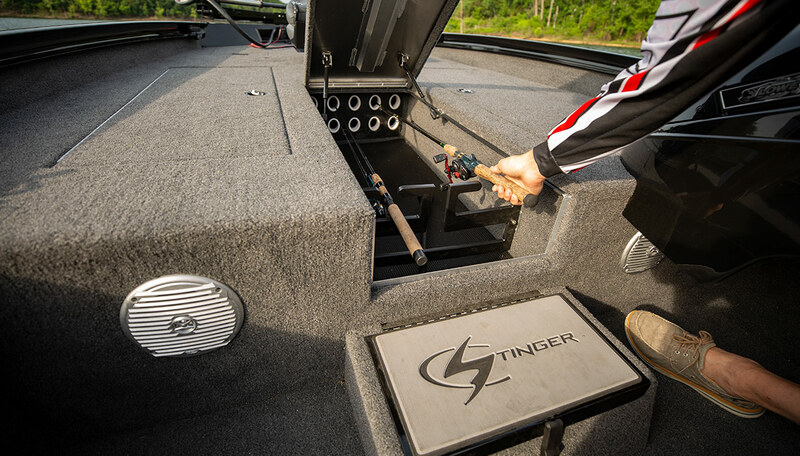 Get out there and show the bass who’s boss with the reinvigorated Lowe Stinger 198! 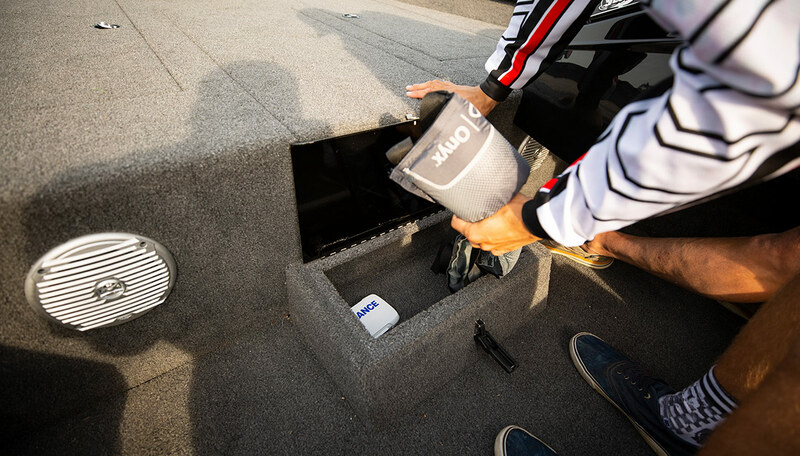 *When selecting the Kirkland Pro Package, the standard trailer price must be deducted from the boat, motor and trailer package price.